How To share an image on LinkedIn with hyperlink? LinkedIn provides a variety of fields to enter your personal and professional information. 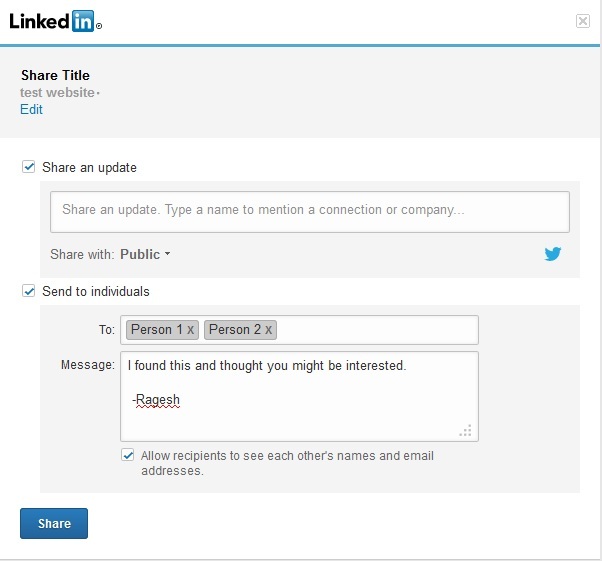 In addition to your primary profile, you can also share updates with your connections on the LinkedIn site. These updates can inform your connections about new job prospects and company developments, or you can simply share links to relevant or useful websites. 2. Click the “Home” link in the top-left corner of the LinkedIn window. 3. Click inside the field labeled “Share an update.” Enter any text relevant to the link you want to post. 5. Check the Twitter box if you want to automatically send this update as a tweet, if your Twitter account is connected to your LinkedIn. Click “Share” to send your post to your connections.